[14.06.2018 00:00:00] - Mayor of Prague 1 Oldřich Lomecký made the ceremonial first move, and then Grandmasters David Navara and Pentala Harikrishna started the ruthless fight. 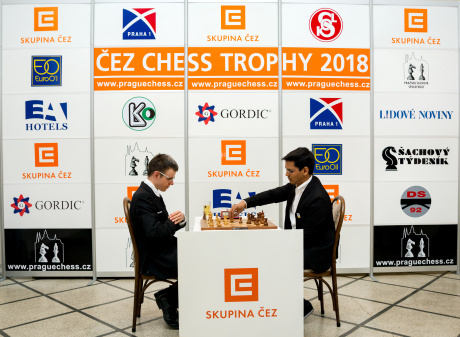 In the first round, the Czech representative played with white pieces, but it was the Indian one, who gained a better position. Harikrishna had an extra pawn, but he didn´t succeed to win, and Navara was glad for the draw in the first game. The second game looked like balanced and perhaps it objectively was, but the white pieces were in much more comfortable situation, as the Grandmasters Viktor Láznička, Robert Cvek and Martin Petr agreed in the comment room. In the end, the black king got into a very tight position, and even though he escaped from the checkmate network, Navara finally fell into a tactical trap and lost the game. The third game ended after a long fight with deserved draw and after the first game day, the Indian Grandmaster 2: 1. You can see all the games here. 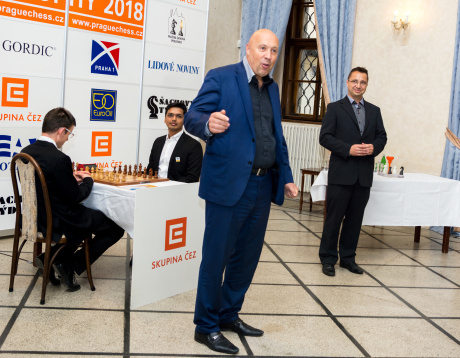 Mayor of Prague 1 Oldřich Lomecký has promised to support this chess festival (taking place in Prague 1 since 2003) even in the future. The first game of the 12round match in the rapid chess between Grandmasters David Navarra and Pentala Harikrishna has just begun. 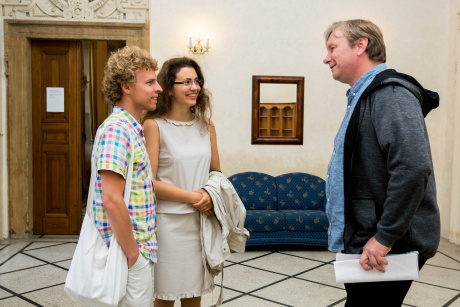 Michal Konopka and Grandmaster Viktor Láznička and his fiancée came to Michal's Palace. 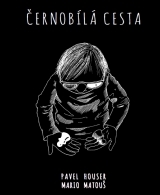 On Thursday, June 14 at 3 pm, you can come to Michna Palace to see Grandmaster Robert Cvek's lecture "Tricks and Gambit in Chess Opening" and then from 4 pm next three games of David Navara's fight with Pentala Harikrishna. Online match transfer is here.